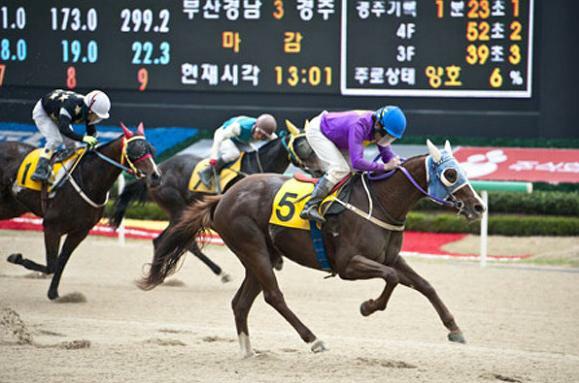 There’s Stakes action at Seoul Race Park this Sunday in the shape of one of the longest running fixtures on the Korean racing calendar, the Sports Chosun Cup. However, while a competitive field will line up for the nine furlong race, plenty more attention will be focused on other races. Tough Win runs in the capital and Mister Park runs at Busan as the two top-rated horses on the peninsula continue their preparation to face each other and the young upstart, Smarty Moonhak once more. Tough Win (Yonaguska) and Mister Park (Ecton Park), first and second in last year’s Grand Prix Stakes, are light-years better than the respectie fields they’ll be running against and for both of them, their biggest opponent is going to be the handicapper. Mister Park will carry 63kg at Busan (Sunday race 5, 15:45) – 8kg more than the next highest rated horse in his race while Tough Win will have to lug 64kg around Seoul – a whopping 10.5kg more than his nearest rival (Sunday race 9, 17:15). As for the Sports Chosun, 13 class 2 horses will line up and it’s a tough one to call. 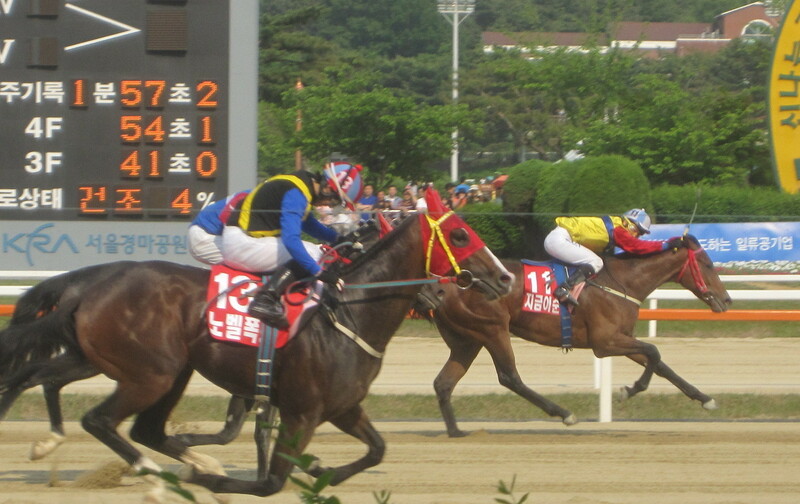 Yacheonsaryeongbu (Vicar) has good claims as does Shoot In (Exploit), an also-ran on last year’s Classic trail. 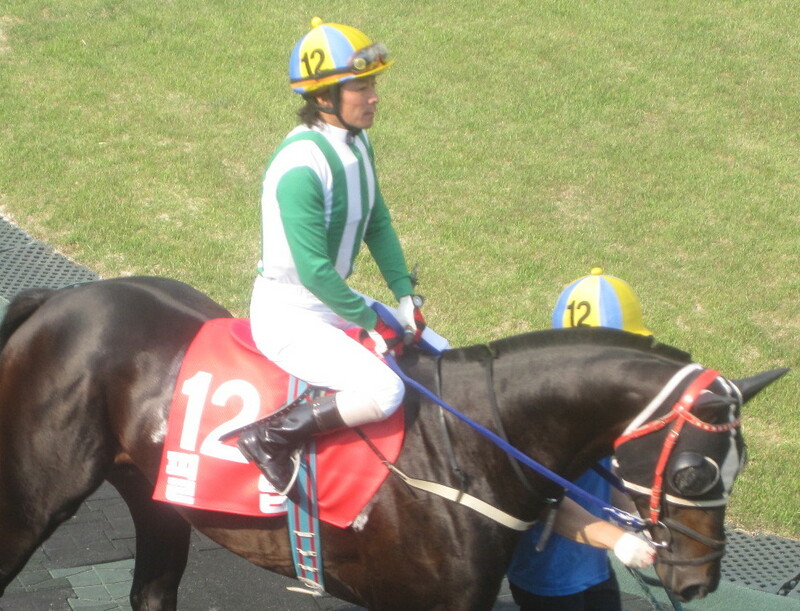 Seungniuihamseong (Vicar)was third in the HRI Trophy in March and if she runs to that form could also challenge as indeed could a number of others. 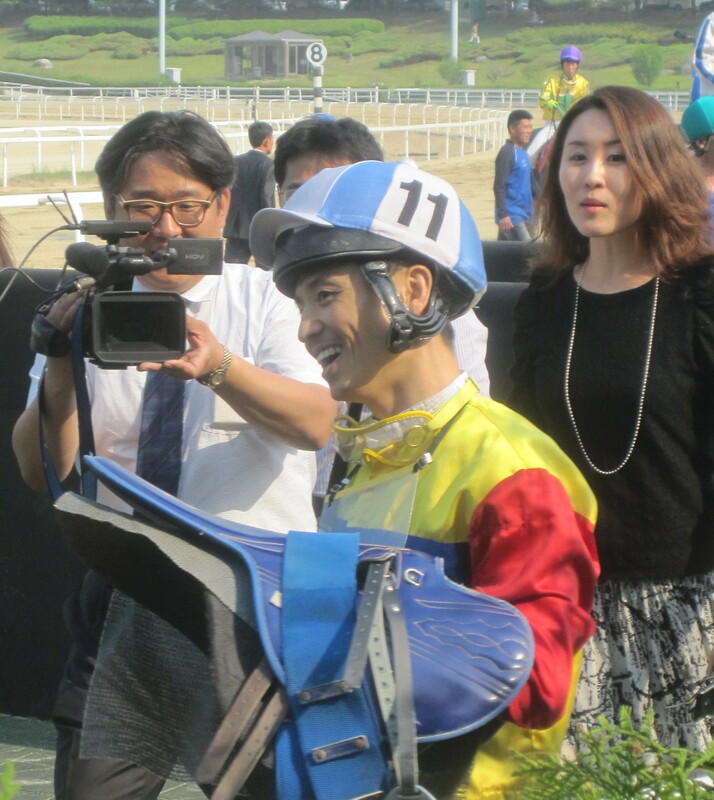 Young Korean jockey Seo Seung Un has just completed a month gaining experience in the United States and, just like Jang Chu Youl last year, has ridden a winner. 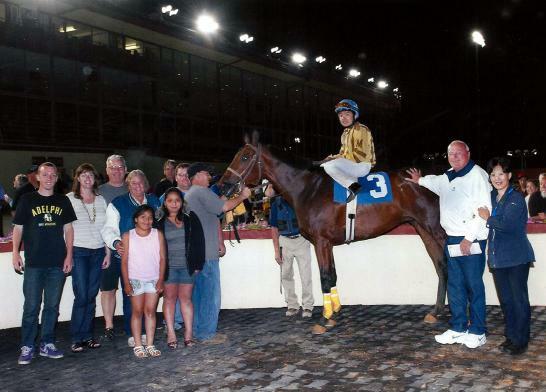 His victory came at Charles Town on May 12 aboard 7/1 shot Southern Folly (Southern Image) for trainer John McKee, for whom Jang also rode a winner during his stint stateside. 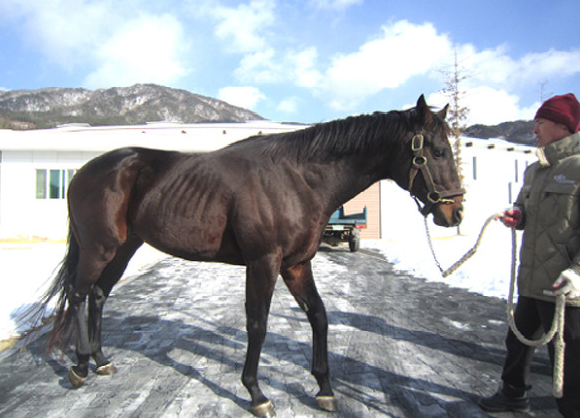 In total Seo had 14 rides, 13 at Charles Town and 1 at Mountaineer and scored 1 win, 1 second and 5 third place finishes. The standard of riding in Korea is improving greatly (at least at Seoul, for whatever reason, Busan is lagging badly behind) with the KRA Jockey Academy turning out riders of a much higher standard of that of a decade to go. Seo Seung Un is the honour student in that group. Since debuting in August last year, Seo has already ridden 27 winners and looks set to ride out his apprentice claim in double-quick time. Eager to improve the standard of riding in Korea, the KRA arranges for promising young jockeys to gain overseas experience. While Jang and Seo went to the US, a number of young riders have recently been sent to the British Racing School in Newmarket while others have spent time in Australia and South Africa – home country of KRA riding instructor Kenny Michel, a man who can claim much of the credit for the new talent. While the race in Charles Town was the cheapest race Seo Seung Un will ever win (the least valuable Korean race is worth to the jockey approximately 5 times what Seo earned for his ride on Southern Folly), it will no doubt always be one of the most significant. See race video at Charles Town’s site here. It was race 9 on May 12. 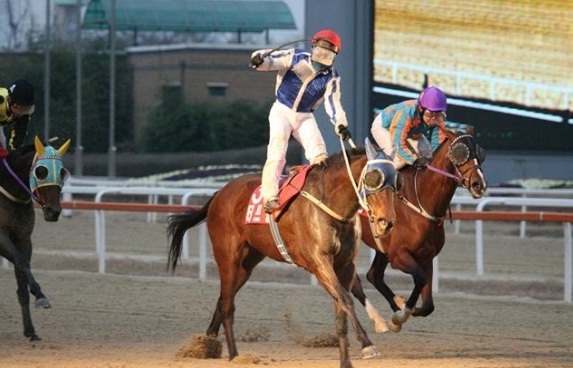 It wasn’t a good Sunday for the local Jockeys’ Union in Busan. While apprentice rider Jeong Dong Cheol did manage to win race 2, he was the only Korean rider to score on the six-race card at the south-coast track as the visiting jockeys continued to show how things are done. Yukio Abe, Narazaki Kosuke and Gerrit Schlechter had all ridden winners on Friday and it was the Japanese pair who led the way again today, each landing a double. Abe guided one-time Korean Derby hopeful Predict (The Groom Is Red) to a five-length win in race 3 before landing the afternoon’s feature race on Champion Belt (Exploit). 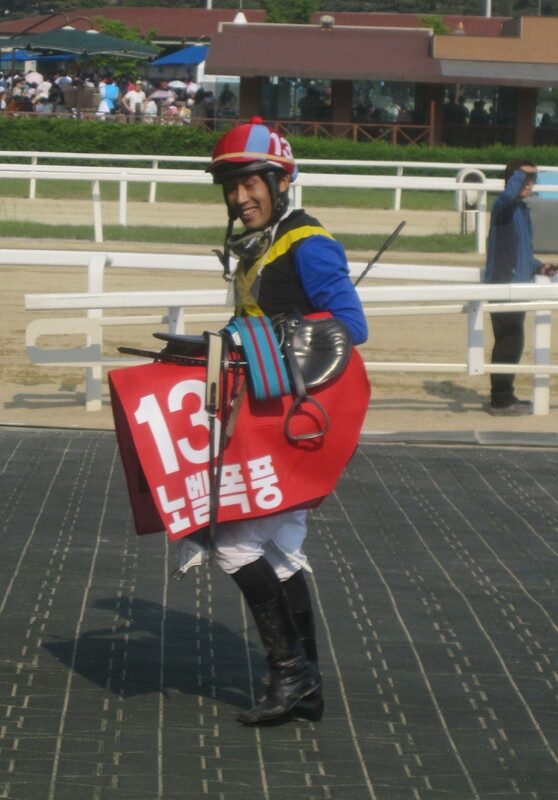 Kosuke meanwhile bookended the card with wins in race 1 on US filly Damyang Jukbuin (Harlan’s Holiday) and in race 6 on hot favourite Tamna Hwangje (Montbrook). As for Schlechter, the South African came very close to pulling off a shock in the feature race on Peter Wolsley’s Khaosan (Sundaw Well), however, Champion Belt just had enough in him to hold off the ever-game seven-year old by a nose. 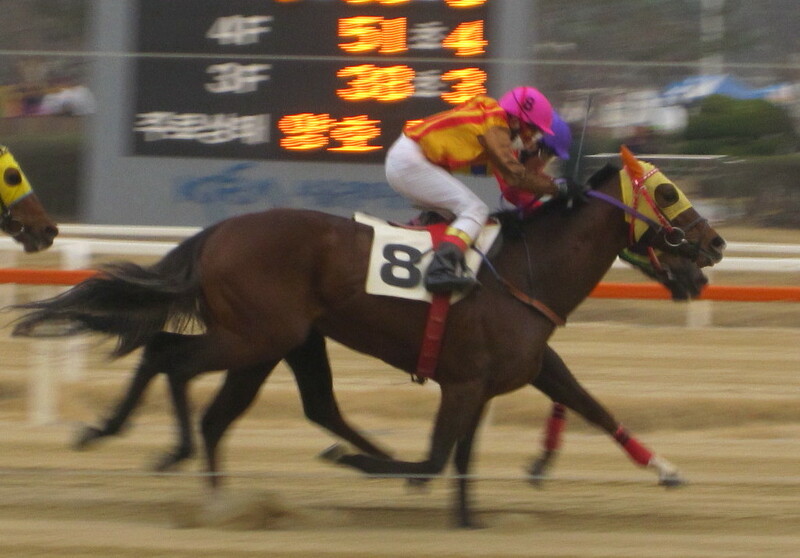 Schlechter was not to be denied in race 4 though, partnering Jeoldae Jijon (Dixieland Band) to a similarly narrow win. Although all three are relative newcomers to the track, Abe, Kosuke and Schlechter now make up three of the top four riders at Busan with Jo Sung Gon the only local able to compete with them. Wherther this inspires the local riders or simply fosters resentment remains to be seen. One thing that is for sure though, is that the visitors are getting the best rides because connections believe they are far more likely to help their horse win than the locals. How different to Seoul where Makoto Noda, who has been plugging away manfully for nearly a year now with little success, must look at his countrymen down south with something approaching envy. On the plus side, his license keeps on getting renewed, on the minus side, that may be because he doesn’t win very much. At least he gets plenty of rides. Some of the visitors, such as young JRA jockey Sho Ueno who went back to Japan last week, don’t even get that. Today, Noda was on plenty of horses but for the most part, they were slow horses. 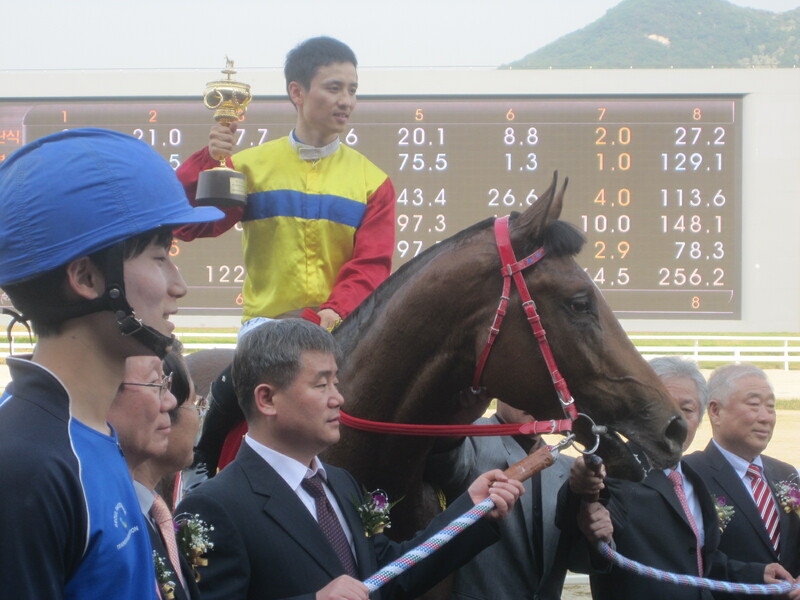 Not slow was Prime Galloper (Strodes Creek), winner of the Sports Kyeonghyang Cup, Seoul’s Sunday feature race. Under veteran jockey Park Tae Jong, the four-year old scored a narrow win over Geuma Champ (Vicar) and Andy’s Runner (The Groom Is Red). It was his seventh win from eighteen career starts. Saturday at Seoul saw feature race favourite Jumong (Johar) struggle under top weight for the second consecutive start. 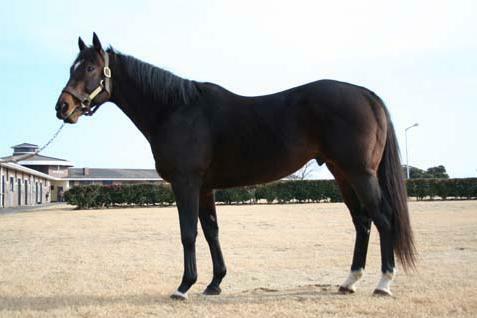 This time he went down to a four-length defeat at the hands of fellow US import Sing Sing Cat (D’Wildcat). Stakes action returns to Seoul next Sunday in the shape of the Sports Chosun Cup. We also have potential appearances at Seoul by Tough Win and at Busan by Mister Park – the two top-rated horses on the peninsula. After the Korean Derby last weekend, there’s a slightly lower-key three days of racing ahead. Nevertheless, there’s plenty to keep us occupied on what should be another fine weekend of weather. A pair of fillies by Menifee (Harlan) fetched the highest bids at last week’s May Two-Year old Breeze-Up Sale on Jeju Island. A filly called Pureun Energy out of the Australian mare Cheongsan Ilho (General Nadiym) topped the list closely followed by an as yet unnamed filly out of US mare Hello Dyna (Dynaformer). Menifee , who underwent life-saving surgery earlier this year, and Forest Camp dominated the sale although there was some representation too for Vicar and established Korean sires Exploit and Didyme. 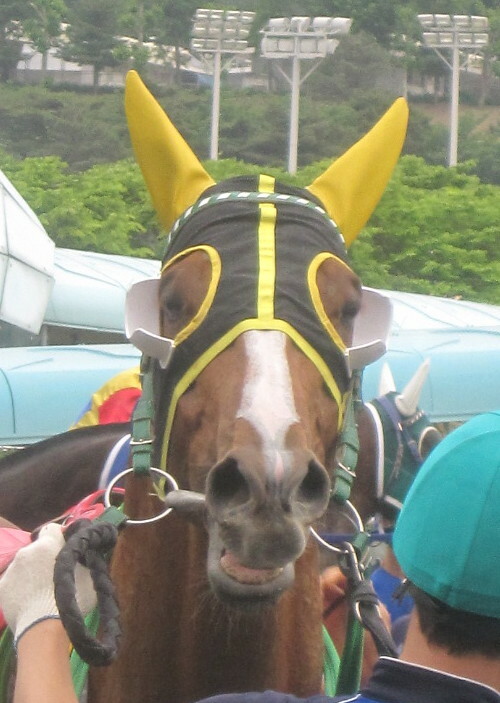 * At Busan there were shocks in both of Sunday’s feature races. Aussie trainer Peter Wolsley would have expected to win the first of these, however, he wouldn’t have expected it to come by way of his second string entrant Pnata Rhei (Stormy Atlantic) getting the better of his first string and race favourite Secret Whisper (Sea Of Secrets). Joe Murphy’s Deep Desire (Jump Start) completed the placings for an all-foreign trained 1, 2, 3. In the second feature, there was disappointment for Wolsley as his Ghost Whisper (Gotham City) reared up in the starting gate and got left behind. It was left to 28/1 outsider Haengbok Dream (Lammtarra) to take a shock four-length win from the previously unbeaten US import Smoking Gun (Hat Trick). With both Smoking Gun and Grand Niner losing their unbeaten records, it wasn’t a good weekend for those hoping to see a star emerge to potentially take on Smarty Moonhak later in the year.